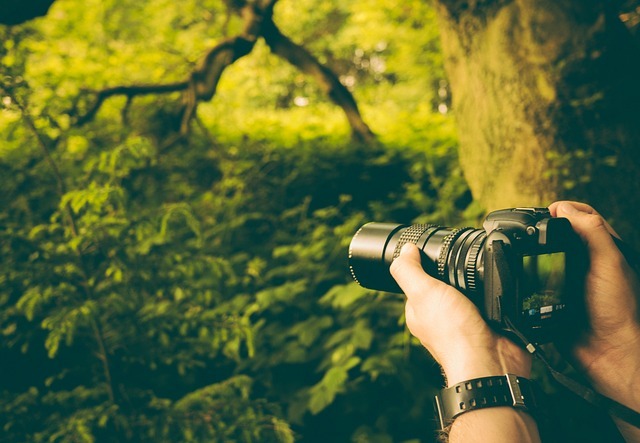 In order to learn how to take good pictures of nature, read on for some tips sure to get you the results you want. One thing’s for certain — it involves far more than merely pointing and clicking. 1. Seek and You Will Find: One of the most important things you can do if you want to up your game with nature pictures is to start to identify the beauty of nature around you. Scenes that might on the surface appear to be so ordinary might actually represent ideal opportunities for great photographs. Whether it involves a group of deer huddled together as they eat the foliage, a bee getting up close and personal with a flower, or squirrels perched on a fence as they stuff their mouths with nuts, you need to get used to seeing how the ordinary can become the extraordinary. Indeed, oftentime the best pictures come out of commonplace scenes that many of us don’t really take the time to notice and enjoy. 2. Eye Level Photography: Sometimes a different vantage point can elevate nature pictures. So why not get up close and personal for the perfect photo? So crouch down or even lay down on your belly to capture the scene — of vegetation, rocks, or ants, for instance — from a different perspective. It may forever change how you view the world. 3. Capture the Emotion: Did you know that different flowers have different meanings? Daisies, for example, symbolize beauty, purity, and innocence. So if you want to incorporate nature into pictures commemorating your special occasion — be it a wedding, graduation, or anniversary — why let your special someone know how you truly feel by including a backdrop of flowers. Taking pictures of flowers that themselves tell a story with their petals and their colors will give your pictures an extra layer of depth and meaning. 4. Use Sunlight: Depending on the time of day that you take your nature pictures, you can achieve a different ambience. If you want the best nature pictures, your best bet is to get to work either shortly after sunrise or shortly after sunset. You’ll find that these time periods offer atmospheric lighting that will give your pictures a warmth that you can’t get otherwise. 5. Know Your Camera: When it comes to your camera, switch off the “auto white balance” feature. If you don’t, you will probably lose a portion of the sun’s golden tones. Rather than the white balance mode, switch your camera to the “clouds” or “shade” setting. And employ a telephoto lens if you want a nature picture that pictures the sun prominently.